New Delhi, April 29: A network of 293 ground motion sensors located across northern, eastern and northeastern India lay crippled during Nepal's 7.9 magnitude earthquake and its aftershocks, handicapping researchers trying to assess how the quakes affected cities and towns in these regions. No one knows how many of the 293 sensors designed to measure ground acceleration during earthquakes were actually recording data during the weekend earthquakes because funding for maintenance of the instruments was stopped in September 2014. The Indian Institute of Technology, Roorkee, had established the network between 2005 and 2008, installing the sensors in district headquarters across northern and eastern states, including Bengal and Bihar, under a project funded by the Union science and technology ministry. But the earth sciences ministry stopped funding the project in September last year, and informed IIT Roorkee in February this year to prepare to hand over the sensors to the National Centre for Seismology (NCS), an institution under the ministry. Automatic sensors and instruments perform an all important task of recording scientific data without human intervention even under the most adverse circumstances and are especially valuable for measuring data in remote mountainous regions. 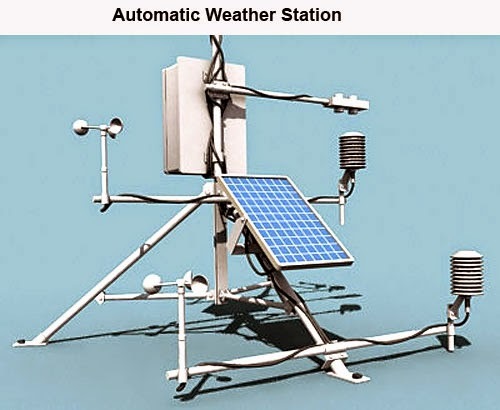 Some years ago IMD did the laudable task of installing numerous AWS (Automatic Weather Stations) and ARGs (Automatic Weather Stations) covering almost the entire country and even neighboring countries like Bhutan, the data from which is available, free of cost here. Unfortunately, like the seismic sensors which were dead, resulting in loss of valuable data when the Nepal quake occurred, many of the AWS/ARG stations have not been working or give erroneous meteorological data - some for many years now. I have personally brought this information to the notice of concerned government officials at the highest levels by email and otherwise - only to receive a stoney silence as the reply.